“Don’t Mention The War”- by Doyle! 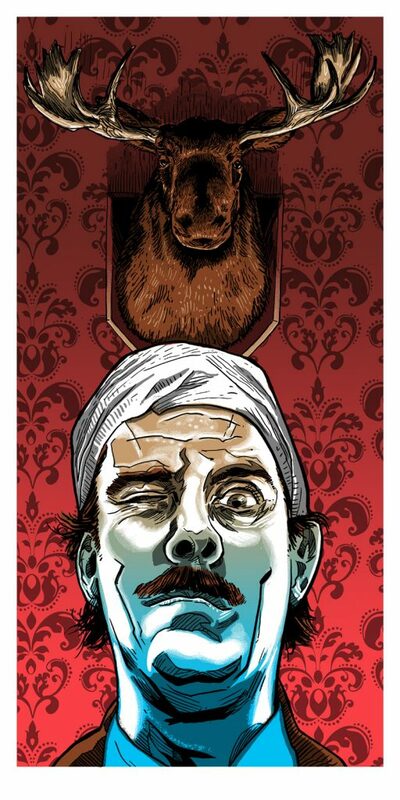 Artist Tim Doyle was commissioned by THE FLOOD GALLERY in the UK to produce this Fawlty Towers-inspired piece, titled- “Don’t Mention The War” which went on sale HERE TODAY! This first edition print measures 12×24 inches, and is signed and numbered by the artist in a first edition of 150 copies worldwide! Prints are currently in hand at the Flood Gallery, and they should start shipping almost immediately! Get your orders in now before Fawlty burns the whole damn hotel down by accident! ← NAKATOMI at RTX this weekend!